Well Here’s what I have pounding into my ears of late. Warren Ellis kept mention this a couple of weeks ago. I need to listen to his music recommendations more closely, because this album is hypnotic. 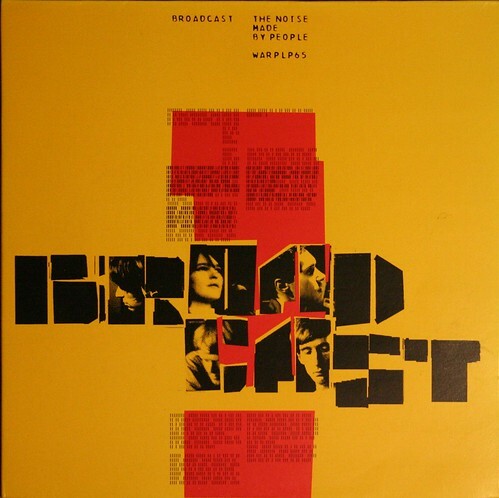 It’s Broadcast’s first album and it’s probably my favourite, but I don’t know if it’s because I heard that album first. This album is a bit of technical feat, considering the aim was giving the feeling of some community theatre production during Halloween. And it works, with little faults in performing and recording that seems to miss parts of the stage. Not sure about this one. Considering the feeling of the album is simple and somewhat predictable. It’s feels cheesy. I could go back to Skinny Puppy to listen to something that was (then) a technical feat, or go Ladytron, Crystal Castles, Ladyhawke, La Roux for something that seemed to be more in touch. I haven’t listened to Batbox yet. But I have heard it’s better. Also thanks again to RadioButt! This entry was posted in music and tagged music, playlist, review. Bookmark the permalink.